Legendary Freeride / Wide All Mountain Skis. 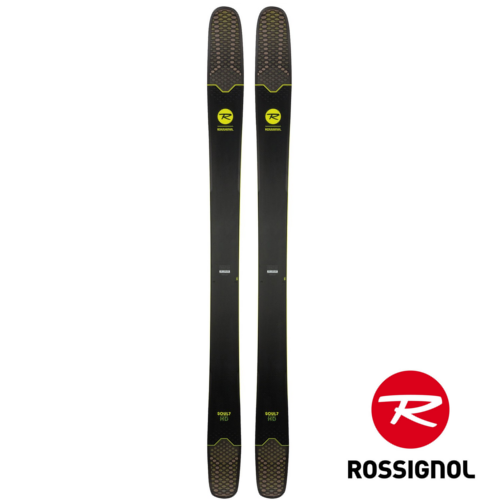 Back in the range, the updated version of the classic Rossignol soul 7, the Soul 7 HD is a modern freeride ski which performs all across the mountain. Now with improved edge hold and damping these off piste favorites perform better all over the mountain making them more suitable as a one ski to do it all with an off piste focus. The big rocker tips and short underfoot radius make the soul 7 very agile for such a big ski but they still feel stable at speed and the new damping reduces tip chatter when flying around on the hard pack. Welcome updates to these now classic freeride skis mean that the Soul 7 will remain a popular ski once again!